AM Only began as a New York booking agency committed to a single purpose: to provide electronic music’s brightest talent a springboard for presenting their sound to audiences and fans across the world. From its headquarters in Brooklyn, NY, AM Only has organized tours that have reached nearly every corner of the globe. The rapid growth of interest in electronic music has continued to fuel the potential and future for its clients. AM Only came to us with an outdated brand identity and a web presence that desperately needed some TLC. 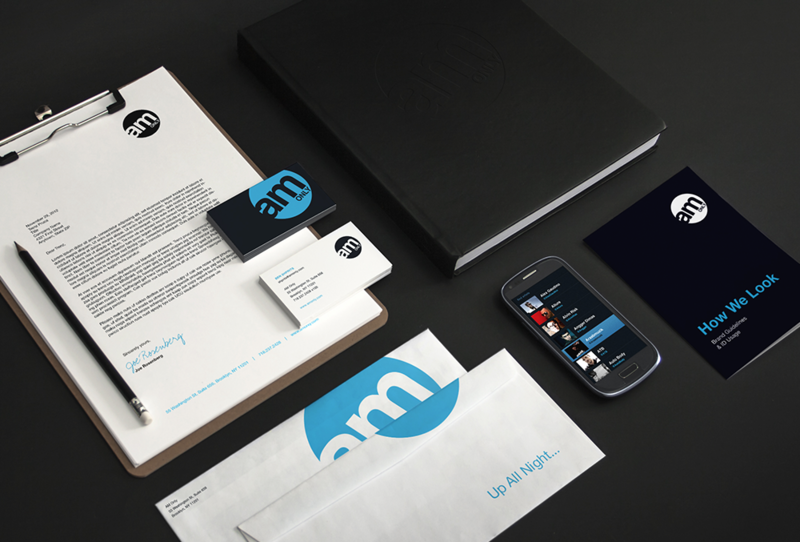 With their business rapidly growing amidst the electronic music boom, they had high hopes for their rebrand. We designed a simple, timeless logo to solidify its presence as an industry leader. It's circular composition was influenced by elements of electronic music culture, taking cues from spinning turntables, discoballs, and looping dance tracks. With its global roster of top DJ talent growing daily, AM Only needed a new website to help direct and organize the influx of new artist inquiries. We built a sleek user experience with a focus on artist accessibility to ensure that AM Only's DJ's were easily visible to booking agents and event promoters.